Les Schwab Tire Centers are a popular West Coast retail tire chain with a strong reputation for customer care. They specialize in tires, alignment, shock absorbers, batteries and brakes. 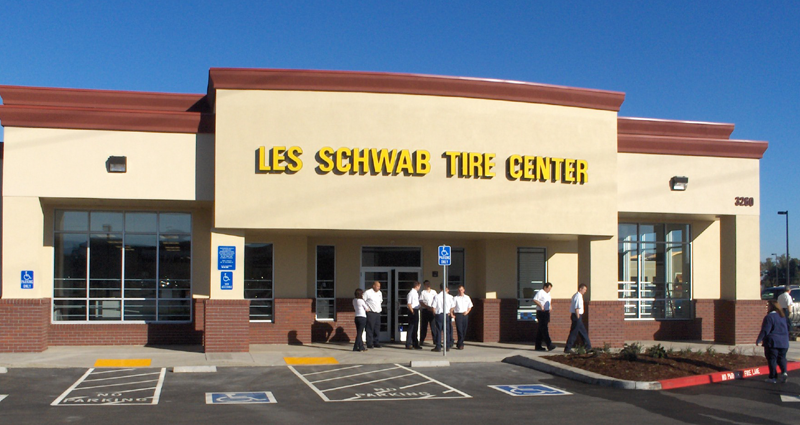 R&W has provided design services for over 50 Les Schwab Tire Center stores throughout the western United States. Each store includes showroom and retail space, warehouse space and up to ten complete service bays including an alignment pit. R&W designs independent HVAC systems for each area, plumbing for public and service areas, compressed air distribution in the service bays, lighting and power systems for all areas, schematic fire sprinkler systems, fire alarm systems and security systems for design/build contractor’s use, and telephone/data system interconnections. Design services also include full utility company coordination for gas, power, telephone and cable television building services, building envelope energy calculations, lighting analysis and calculations and energy code forms as required by each jurisdiction.